Explanation: The planet Mercury has been known since history has been recorded, but parts of the Solar System's innermost planet have never been seen like this before. Two days ago the robotic MESSENGER spacecraft buzzed past Mercury for the second time and imaged terrain mapped previously only by comparatively crude radar. The above image was recorded as MESSENGER looked back 90 minutes after passing, from an altitude of about 27,000 kilometers. Visible in the above image, among many other newly imaged features, are unusually long rays that appear to run like meridians of longitude out from a young crater near the northern limb. 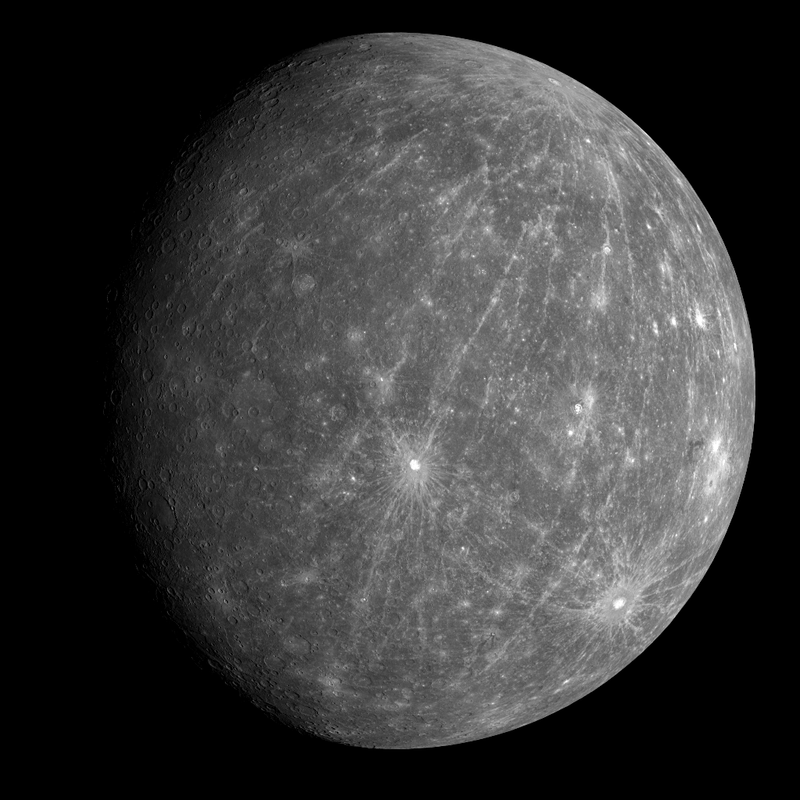 MESSENGER is scheduled to fly past Mercury once more before firing its thrusters to enter orbit in 2011.